Could Hot Springs Be the Future of Agriculture? A small Colorado town Pagosa Springs is using its hot springs to grow food for the community year round. It's a 5 year experiment by the Geothermal Greenhouse Partnership, a non-profit, volunteer organization that's pushing innovation with great potential. The group is turning the world's largest and deepest geothermal hot spring into a lot more than a tourist destination. They're using the renewable energy source that's available 24/7/365 to grow food year round for the community. Geothermal energy is energy harnessed from the earth's heat. Geothermal farming is something new, different and very promising. The reason is geothermal energy is abundant in the US and could provide a renewable energy source for farming. The Colorado experiment could be a model for the US. Experts believe the potential for the US is huge. 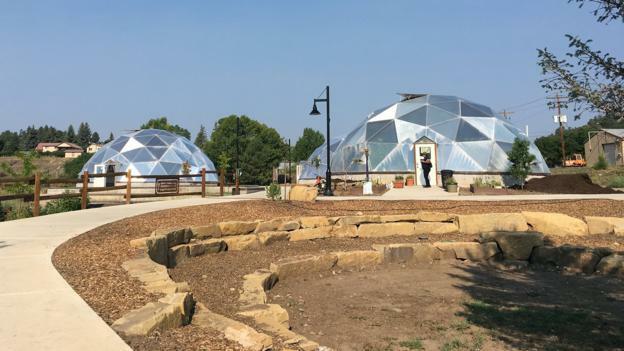 The town has 3 geodesic greenhouses to house gardens. One is in operation. A 2nd will open the end of this year. Another will open as an aquaponic growing environment in 2019. The project uses a closed loop water system where geothermal water is pumped in from town wells. It heats domestic water in the greenhouses and resumes its natural path. As a result almost no water is used. This is an experiment worth watching for green, sustainable, agriculture through renewable geothermal energy.